One of the important variables in collecting 3D laser scan data is the consideration of display options. Really? Display options? As in, how the data is presented? Yes! 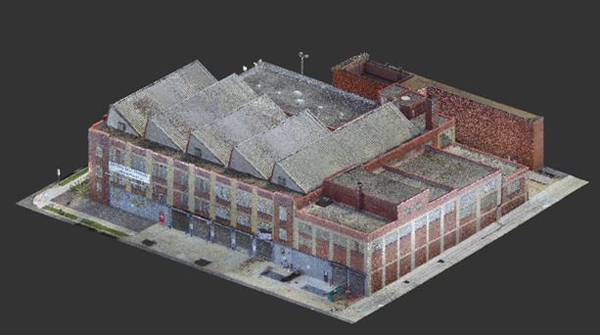 While display options are ultimately cosmetic, understanding the options at the outset of a project can have a significant effect on both how 3D laser scan data is utilized downstream, and on overall project cost. First, let’s discuss cost. When putting together cost estimates for laser scanning projects, one of the first questions typically asked is: RGB, or no RGB? RGB (Red, Green, and Blue) is an acronym that is utilized to indicate whether or not color photographs are to be included in the data collection process. Ok, great… so what does this have to do with cost? If RGB is to be included, this means that the field technicians will utilize the “Scan with color” option on the 3D laser scanners, at each scan position. Color photographs will then be captured by the onboard camera, adding an average of 4 minutes per scan position (this can vary based on lighting conditions). As the old adage states, “Time is money”. Let’s review this idea in the table below. For simplicity, it has been assumed that a single scan takes 6 minutes. As evident in the chart, choosing to include RGB color information can have a significant impact on the time aspect of 3D laser scanning, which relates directly to cost. So why include RGB color information? If the 3D laser scan data is only to be utilized for its highly accurate measurements (reference for 3D modeling/BIM, measurement analysis), RGB color information may not be necessary. If the 3D laser scan data is to be utilized to show how an environment or object looks in real life (realistic animations and visual presentations), RGB color information can be invaluable in helping a viewer understand this “captured reality”. Jon W. Adams, Director of Architectural & Heritage Services with DJS Associates can be reached via email at jwa@djsscans.com or via phone at 215-659-2010.